General Motors will build autonomous Chevrolet Bolt electric cars in the Detroit area starting early next year, GM CEO Mary Barra announced Thursday. "Revolutionizing transportation for our customers while improving safety on roads is the goal of our autonomous vehicle technology, and today's announcement gets us one step closer to making this vision a reality," Barra said in a statement. "Our autonomous technology will be reliable and safe, as customers have come to expect from any of our vehicles." Michigan recently passed legislation allowing for the testing of autonomous vehicles on public roads there. GM (GM) has already been testing self-driving cars on the campus of its Technical Center in Warren, Mich. near Detroit. That testing will now expand to roads around Detroit. The cars will be built in GM's Orion Township assembly plant which is about an hour's drive from GM's Detroit headquarters. That factory currently builds the Chevrolet Sonic subcompact car as well as the Chevrolet Bolt electric car, which will be GM's autonomous platform. 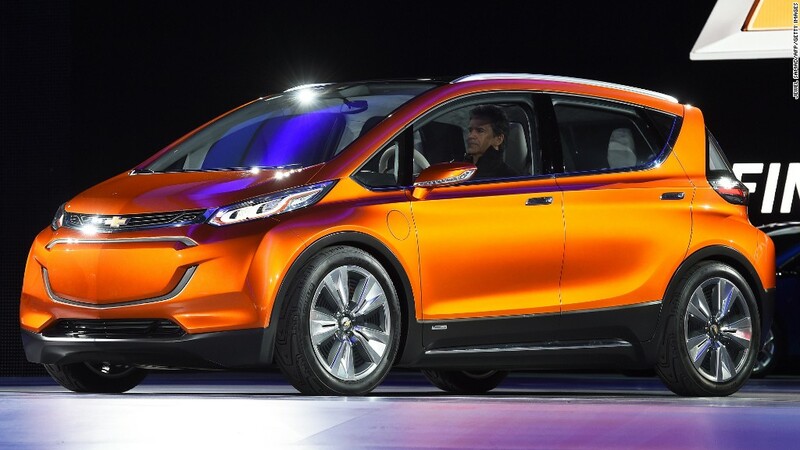 An autonomous Chevrolet Bolt in Warren, Mich.
"We expect that GM will become the first high-volume auto manufacturer to build fully autonomous vehicles in a mass-production assembly plant," Barra said in a speech at GM's headquarters. Workers in the Orion plant will add technology including radar, laser sensors and cameras to some of the Bolts to create the autonomous vehicles. In addition to being tested in Michigan, these new cars will be added to test fleets already in operation in San Francisco and Scottsdale, Ariz.
"The challenge is for consumers to believe one of the world's largest manufacturers can design and innovate such technology," said Rebecca Lindland, an analyst with automotive data company Kelley Blue Book. "Hopefully being early to on-road testing will convey that yes, they can and are innovating." 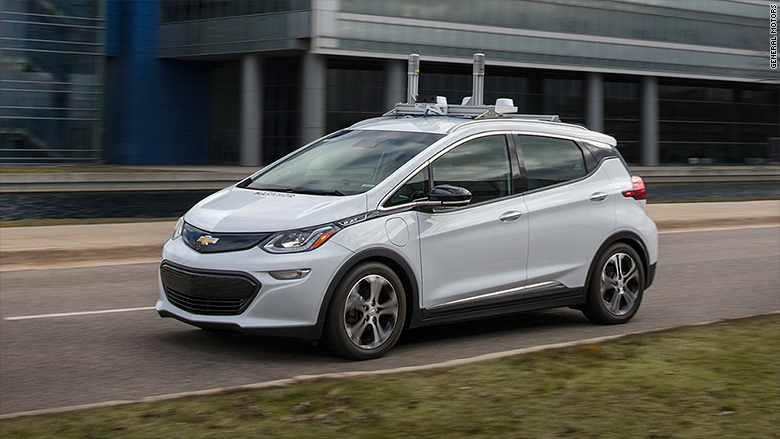 GM also recently acquired Cruise Automation, an autonomous driving technology company. The automaker has made big investments in the ride-sharing company Lyft and is working with that company to integrate autonomous vehicles into Lyft's fleet. Other companies, including Nissan (NSANF), Audi (AUDVF), Google (GOOG) and the ride-sharing company Uber, have been testing self-driving vehicles on public roads where it is legal to do so.